I connected with today’s Will Write for Cookies guest of honor when she was the Day #16 Guest Poster on Tara Lazar’s PiBoIdMo. Anne Marie talked about hopes and dreams and deadlines and kids…four topics I can really relate to, so I was thrilled when she agreed to participate here. Despite the oft-quoted adage to write what you know, Anne Marie Pace has never been a bear, a vampire, a pig, or a ballerina. 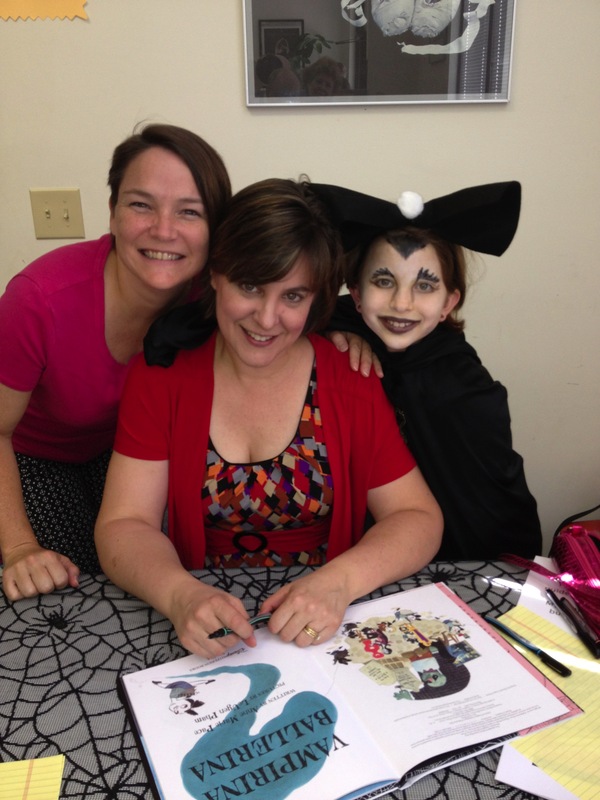 She is the author of the Vampirina Ballerina series, illustrated by LeUyen Pham, and published by Disney-Hyperion, as well as two original paperbacks for Scholastic Book Clubs, Never Ever Talk to Strangers and A Teacher for Bear, both about bears. Coming in winter 2016 from Henry Holt is Pigloo, illustrated by Lorna Hussey. She is an active member of SCBWI. She lives in Virginia with her husband, four teenagers, and two ill-behaved dogs. 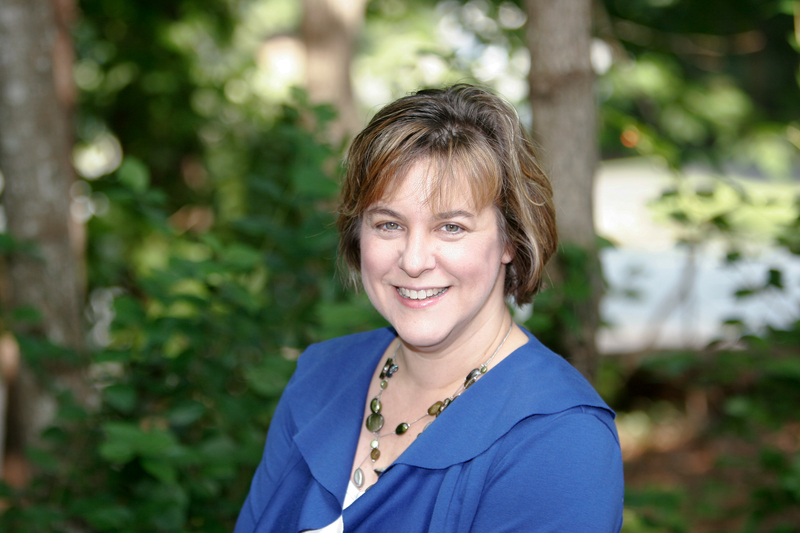 Welcome, Anne Marie! We’ll get right down to the interview, because I know you have a lot to share. Anne Marie: My grandmother was a librarian and loved to read. One time when I was in first grade or so, we visited a gift shop, where she bought me Little House in the Big Woods, which I adored; I read and reread the series many times. So Laura Ingalls Wilder would be one I remember fondly (as an adult I’m more concerned about her depiction of Native Americans than I was at the time, although even when young I realized that Ma’s beliefs were not admirable). It’s also interesting now to perceive what I assume is her daughter Rose Wilder Lane’s libertarian streak come to life in some of Pa’s speeches in the later books. Other favorite series would include the All of a Kind Family books by Sydney Taylor, the Boxcar Children by Gertrude Chandler Warner, the Nancy Drew series by Carolyn Keene, and Anne McCaffrey’s Harper Hall trilogy. Some stand-alone titles that I loved were Becky’s Christmas by Tasha Tudor and Sue Ellen by Edith F. Hunter. I found old copies of those books via eBay and I’m so happy to have them on my bookshelf. Finally, as a teen, I loved Lois Duncan’s books so it tickles me to no end that we are now Facebook friends. Anne Marie: I know what you’re asking, and yet, while I can list reams of things I’ve learned over the past years—specifics about craft or creating a writing space or refining my style or more practical things like networking and social media—I’m not sure I’d wish any of the learning away. It’s all about the journey, and if I wish away the journey, I wouldn’t have much left. I’m not even sure I know what the destination is—it changes over time. At one point having one book published seemed like a worthy goal, but now that I’ve done that, I realize each book is just another step along the way. There’s always a new hill to conquer. Anne Marie: I write almost exclusively on the computer. For one thing, it’s faster. For another, my handwriting, while not illegible, is something of a scrawl. If I take the time to make sure I’ll be able to read what I’ve written later, the ideas come much faster than the words and I lose them before I can get them down. It’s why my mother insisted I take typing lessons in 7th grade, back in the days of manual typewriters. I don’t write a lot of poetry, but if I do, that I write by hand. Poem words come more slowly. Anne Marie: There’s a part of me that feels I’d be most productive late at night, but I actually don’t write then because I still have children in school who expect me to be awake in the mornings. I generally write during the school day, though now that they’re older I find that I’m able to write when they are home—they get their own snacks, for one thing! I solve my most vexing writing problems in that bleary state between sleeping and waking so if I’m not sure how to proceed on something, I try to fall asleep thinking of the issue in the hopes that I’ll possibly have an answer upon awaking. Anne Marie: That’s an easy question for me—I’ve always loved to read and I’ve always loved to write, and when I realized that the books I loved best were children’s books, writing for children made the most sense. I could go on and on about the importance of literacy or finding the right books for each child or my enjoyment interacting with kids and books or having an inner child who needs to speak and so on; but the bottom line is basically that it feels right in my gut to write for kids and so I do. Thank you so very much, Anne Marie! I loved when you shared that you realized children’s books were what you had enjoyed the most…so it seemed quite sensible to devote your life to writing them…we eagerly await your next story! And now I know that everyone is eagerly awaiting your blue-ribbon chocolate chip cookie recipe. We are grateful you are sharing it!!!! 2) Measure flour, baking soda and salt into a small bowl. 3) In a large bowl, beat together the butter, white sugar and brown sugar until mixture is creamy and fluffy. This might take several minutes. Don’t skimp on the beating. 3) Add egg and vanilla. Mix well. 4) Gradually beat in the flour mixture, scraping the sides of the bowl if necessary. 5) Add chocolate chips. Mix well. 6) Drop cookie dough by heaping tablespoonfuls onto an ungreased cookie sheet. You will probably be able to fit 12 cookies on the baking sheet. 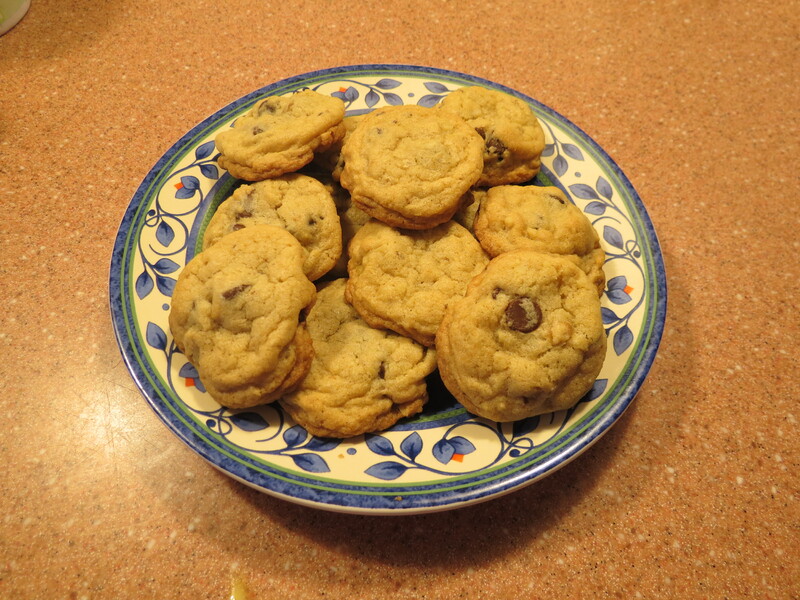 7) Bake for 9-10 minutes or until edges of cookies are starting to brown and the top seems set. Okay…so I want to see a show of hands – how many of you are going to make these yummy-looking cookies as soon as you can? There is still a little bit of time to register! Lots of fun! Lots of prizes! Lots of hard work! Don’t miss it! This entry was posted in Anne Marie Pace, Author/illustrator interviews, Cookie recipe, Will Write for Cookies, WOW NonFicPic Week and tagged Anne Marie Pace, Blue ribbon chocolate chip cookie recipe, Vampirina Ballerina, Will Write for Cookies by viviankirkfield. Bookmark the permalink. Great interview! I LOVE that Jane Smiley quote. I plan to steal it, say it a lot, and write about it on my blog. Yay! As for the cookie recipe, I will give it to my best friend and ask her to make them for me. That’s sort of like making them myself, except they’ll taste better…. Hahaha…lucky you, Genevieve…to have a friend who makes cookies for you. :)I’m so glad you stopped by for the interview! What a great post. 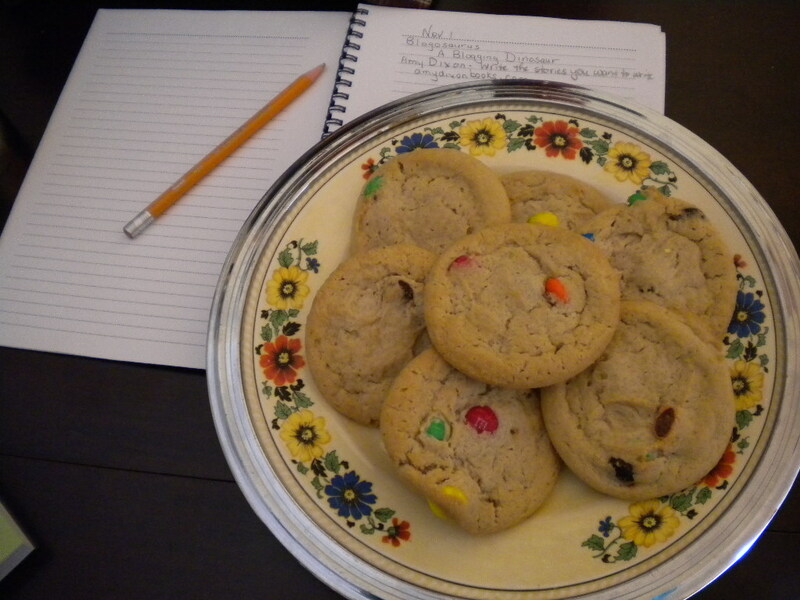 Recipes for cookies and for picture book success – what a combination! Thanks! Anne-Marie’s books look like fun. Have any been translated I to French? 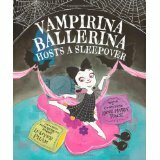 Yes, Vampirina Ballerina is Vampirine la Ballerine, from Albin Michel Jeunesse, and Vampirina Ballerina Hosts a Sleepover is coming out from AMJ this fall–I don’t know the title yet. Thanks for a great interview and the cookie recipe as well! That Anne Marie sounds like a really smart cookie! Thanks for the lovely interview! Wonderful interview! Thanks for sharing your journey, Anne Marie! I’ll have to try your recipe as I LOVE chocolate chip cookies! Great interview. 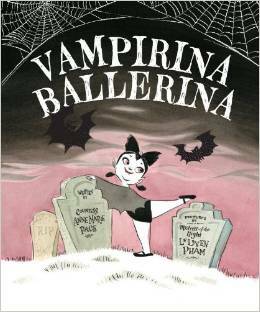 Nice to learn more about Vampirina Ballerina’s creator- and I look forward to sinking my teeth into those cookies 🙂 !